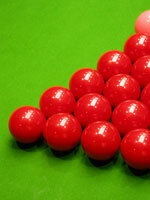 Spoof news: Snooker Match-fixing: What's Wrong With It? Snooker Match-fixing: What's Wrong With It? Snooker player, Stephen Lee was recently found guilty of match-fixing in what officials called "the worst case of snooker corruption we've seen". Lee, 38, had denied the allegations which concerned seven games in 2008 and 2009, including a World Championship match. But really, what's wrong with fixing matches? Although snooker is a highly skilful game that requires many hours of practice before one becomes an expert, and is regarded by many people as a game played by dignified gentlemen, why shouldn't players be allowed to attempt to 'fix' the outcomes of matches? I mean, if a player was asked to fix a match, but to WIN the match instead of LOSING it, would that be frowned upon? If he had been asked to TOTALLY OBLITERATE his opponent, and had AGREED TO DO SO, would that constitute match-fixing? If he had gone ahead and ACTUALLY OBLITERATED his opponent, as he had planned with his 'match-fixing paymasters', what then? If he promised to score a 147 break, and did it, would that be 'fixing things'? I think not, by Jove. I suppose, the difference is, that the player would be playing positively, rather than negatively. But what about that Peter Ebdon? Described by Wikipedia as "an English professional snooker player and former world and UK champion, renowned for his remarkably focused, meticulously slow and determined style of play", he was rumoured back in 2005 during the World Championship final against Ronnie O'Sullivan, to have tried to put his opponent, the match referee and the watching audiences in the Crucible and those watching on TV, to sleep with his boring play, so that he could rearrange the balls into potable positions. If he accepted money to play more quickly, would that constitute match-fixing? If I am playing a game of, say, Battleships, with one of my students, and I, out of the goodness of my heart, allow the 8-year-old lad to sink all of my ships and therefore emerge from our naval duel victoriously, am I a cheat? No, of course not. I'm seen as a man who is benevolent towards kids. I therefore decree, by the power invested in me, that Stephen Lee, the fat lad snooker player, is, although he has, on occasion, fixed snooker matches, by which he has probably amassed great personal wealth, to be regarded as benevolent towards other snookerists, and nothing more.